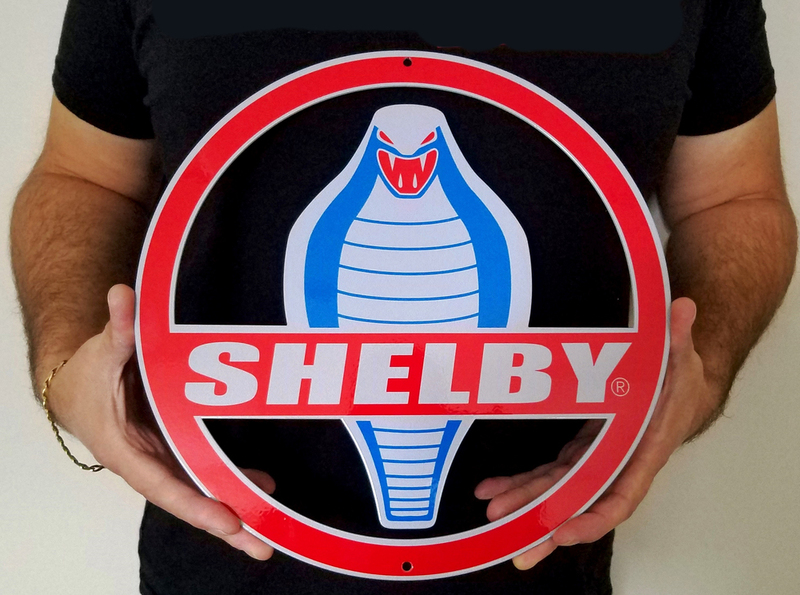 This Shelby sign looks like a huge car emblem. This is a flat sign made of heavy 14 gauge steel and has all the shading and casting marks of an actual emblem printed on it so that it looks like a big version of the real thing. All details of the emblem are captured, this includes the glare from the chrome and imperfections in the casting of some emblems. This is a flat sign that looks 3D.